One of the most fascinating stories to come out of the mission field in Africa was about a boy named Samuel Morris. Morris was born in 1873 as Prince Kaboo in Liberia, the son of a tribal king and next in line for the throne. When Kaboo was fourteen years old, he was captured by a neighboring tribe called the Grebos when his Kru tribe was attacked. His father, the chief, was commanded to bring a tribute to the Grebos every month if he wanted to see Kaboo alive. Kaboo's father complied, but the tribute was never enough. The Grebos began to beat Kaboo every day and were planning to kill him. One night, during a beating, there was a flash of light, and Kaboo's ropes fell off him. A voice told him to run. He ran and, for days, survived in the forest by eating mangos and snails. Eventually he found his way to a coffee plantation of a former slave who had become a Christian. There, a young boy invited Kaboo to church where Miss Knolls, a missionary and graduate of Taylor University, spoke on how the Apostle Paul saw a light from Heaven and heard a voice speak to him. Kaboo immediately knew that it was God who rescued him, and he accepted Christ as Savior. He was baptized under the name of Samuel Morris to honor the man who sent the missionary to Africa. Morris became zealous to learn more about the Holy Spirit, and Lizzie MacNeil encouraged him to go to America to be discipled by her mentor, Stephen Merritt. With no means of transportation, Morris set out on foot to Robertsport harbor. He slept on the beach until he was able find passage on a ship to America in exchange for work. The journey was difficult because Morris was assigned the most dangerous jobs and often beaten, but by the time he arrived in New York, the captain and most of the crew had accepted Christ as their Savior because of his witness. Once Morris arrived in America, Stephen Merritt warmly received him and the president of Taylor University requesting to enroll Morris at the school. Due to Taylor's financial debt, Reade personally started a fund for Morris called the "faith fund".In December 1891, Morris arrived on Taylor's campus. When asked by Reade which room he wanted, Morris said, "If there is a room nobody wants, give that to me." Morris' faith had such a profound impact on the school and community that he was often invited to speak at local churches. At night, he could be heard in his room praying, which he called "talking to my Father." President Reade once said, "Samuel Morris was a divinely sent messenger of God to Taylor University. He thought he was coming over here to prepare himself for his mission to his people, but his coming was to prepare Taylor University for her mission to the whole world. All who met him were impressed with his sublime, yet simple faith in God." 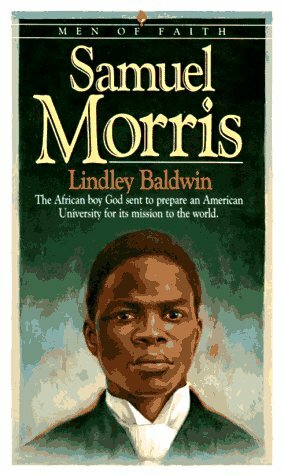 Morris wanted to return to Africa as a missionary and often would encourage fellow students to consider doing the same. But he contracted a severe cold and said God told him that his work on Earth was done. Samuel Morris died on May 12, 1893 at about 20 years of age. His death inspired his fellow students to serve as missionaries to Africa on his behalf, fulfilling his dream of one day returning to minister to his own people. Hundreds of spectators lined the streets of Fort Wayne as Samuel Morris' body was carried to Berry Street Methodist Church. Lindley Baldwin, author of Samuel Morris, writes, "The burial ceremony in Lindenwood cemetery, his last earthly resting place, was attended by a multitude such had never before accompanied there." Although blacks were buried on one side of the cemetery and whites on the other, they buried Morris in the middle uniting people in death as he did in life. 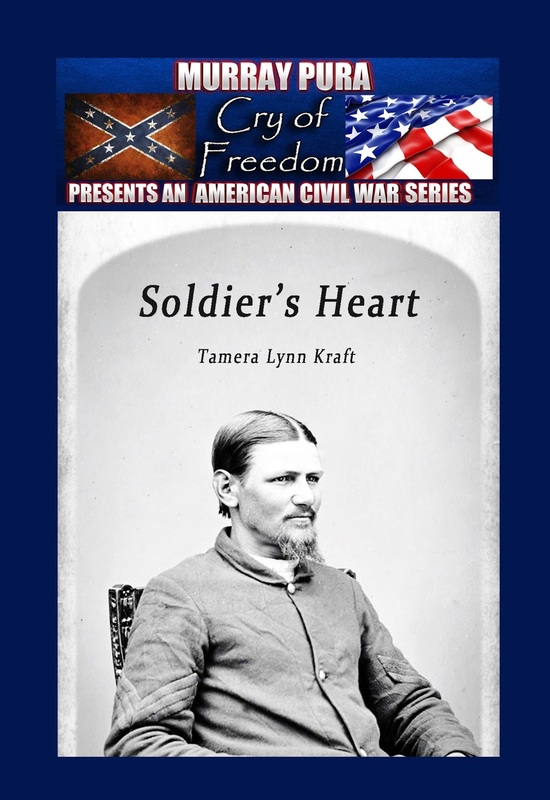 Her novellas Soldier’s Heart and A Christmas Promise are available on Amazon. Her novella Resurrection of Hope will be released in March. Tamera, I finally stopped weeping enough to write a comment! I had to stop and ask God's forgiveness on the sloppy witness I've become. Your post is wonderful and appreciated from the depth of my heart. Thank you. Thank you for this inspiring post. I had heard Samuel's story before and I never cease to be amazed at his witness and ashamed of mine!